Under the Second Circuit’s new ruling, prosecutors have two large hurdles they must clear to convict under securities laws. First, they must prove that a defendant knew that the source of inside information disclosed tips in exchange for a personal benefit. Second, the definition of “personal benefit” is tightened to something more akin to a quid pro quo exchange. For years, insider trading cases have been slam dunks for federal prosecutors. The United States Attorney’s Office in the Southern District of New York had compiled a remarkable streak of more than eighty insider trading convictions over the past five years. But that record has evaporated thanks to the United States Court of Appeals for the Second Circuit’s ruling in United States v. Newman, in which the Second Circuit concluded that the district court’s jury instructions were improper and that the evidence was insufficient to sustain a conviction. The Second Circuit relied upon a thirty year old Supreme Court opinion, Dirks v. SEC, 463 U.S. 646 (1983), and highlighted the “doctrinal novelty” of many of the government’s recent successful insider trading prosecutions in failing to follow Dirks. Accordingly, the Court overturned insider trading convictions for Todd Newman and Anthony Chiasson because the defendants did not know they were trading on confidential information received from insiders in violation of those insiders’ fiduciary duties. More broadly, however, the Court laid down two new standards in tipping liability cases, both likely to frustrate prosecutors for years to come. Section 10(b) of the Securities Exchange Act of 1934 and Securities and Exchange Commission rules 10b-5 and 10b5-1 generally prohibit trading on the basis of material nonpublic information, more conventionally known as insider trading. In addition, federal law also prohibits an individual (the “tipper”) from disclosing private information to an outside person (the “tippee”), if the tippee then trades on the basis of this private information. This disclosure—a breach of one’s fiduciary duty—is known as tipping liability. As with most crimes, tipping liability requires scienter, a mental state that demonstrates intent to deceive, manipulate, or defraud. In these cases, the government must show that the defendant acted willfully—i.e., with the realization that what he was doing was a wrongful act under the securities laws. Until last week, willfulness had been fairly easy to show, and that was one of the principal reasons for the government’s string of successes. Prosecutors only had to prove that the defendants traded on confidential information that they knew had been disclosed through a breach of confidentiality. In Newman, however, the Second Circuit rejected this position outright. The Court held that a tippee can only be convicted if the government can prove that he knew that the insider disclosed confidential information in exchange for a personal benefit, and one that is “consequential” and potentially pecuniary. This distinction may seem minor, but its impact is enormous. The government now must prove—beyond a reasonable doubt, no less—that a defendant affirmatively knew about a personal benefit to the source of the confidential information. From the prosecution’s perspective, this is a massively challenging prospect. The Second Circuit also clarified the definition of “personal benefit” in the tipping liability context. Previously, the Court had embraced a very broad definition of the term—so broad, in fact, that the government argued that a tip in exchange for “mere friendship” or “career advice” could expose a trader to tipping liability. The Court retreated from this position and narrowed its standard. Now, to constitute a personal benefit, the prosecution must show an exchange “that is objective, consequential, and represents at least a potential gain of a pecuniary or similarly valuable nature” —in other words, something akin to a quid pro quo relationship. This, too, complicates a prosecution’s case significantly. What effect will this ruling have moving forward? Of course, one effect is obvious from the start: prosecutors are going to have a much more difficult time proving tipping liability. But as with many new appellate cases, it may take some time to see how this rule shakes out on the ground in the trial courts. Here are a few things to keep in mind over the next few months and years. This ruling may cause some immediate fallout. For example, there are currently several similar cases in New York that are pending for trial or appeal, and these may now result in acquittals or vacated convictions. In fact, some defendants who previously took guilty pleas in cooperation with Newman and Chiasson’s case are considering withdrawing their pleas in light of this decision. Moving forward, look to see the SEC and potential defendants adjusting their behavior and strategies in light of this ruling. In fact, just this week, a New York Federal Judge expressed strong reservations about whether guilty pleas entered by four defendants in an insider trader case related to a $1.2 billion IBM Corp. acquisition in 2009 should remain in light of Newman. This is also welcome news for tippees who did not interact directly with the source of the inside information. Although the source of the leak may still be prosecuted as usual, this ruling may shield a more remote party from an indictment. As the Newman court noted, the government’s recent insider trading wins have been “increasingly targeted at remote tippees many levels removed from corporate insiders.” Now, without clear evidence that the insider received a quantifiable benefit and that the tippee was aware of such benefit for providing the information, cases against such “remote tippees” will be tremendously more difficult to prove. But, caution should still reign where tippees deal more directly with tippers. The tippees in this case were as many as three or four steps removed from the tippers. It is not difficult to imagine the Court coming out the other way if Newman and Chiasson had been dealing with the tippers themselves. One enormous question mark is to what extent the standards expressed in this case will affect the SEC’s civil enforcement suits. We will have to wait and see, but traders should still use caution. Because civil suits require a substantially lower burden of proof and lesser standard of intent compared to criminal cases, it is possible that these new rules may offer little protection from a civil suit. Additionally, SEC attorneys will probably emphasize this distinction to courts in an attempt to distinguish their enforcement suits from Newman and Chiasson’s criminal case, but whether this tactic is effective remains to be seen. Although the Court refined the meaning of a personal benefit, the definition is still purposefully flexible. This case tells us that abstract psychic benefits—friendship, business advice, church relationships—are not enough, but what about anything just short of exchanging money, favors, or goods? We don’t yet know, and for that reason clients should exercise care. If you have any questions about the content of this alert, please contact the Pillsbury attorney with whom you regularly work, or the authors below. The authors wish to thank Robert Boyd for his valuable assistance with this client alert. Pillsbury is a full-service law firm with an industry focus on energy & natural resources, financial services including financial institutions, real estate & construction, and technology. Based in the world’s major financial, technology and energy centers, Pillsbury counsels clients on global business, regulatory and litigation matters. We work in multidisciplinary teams that allow us to understand our clients’ objectives, anticipate trends, and bring a 360-degree perspective to complex business and legal issues—helping clients to take greater advantage of new opportunities, meet and exceed their objectives, and better mitigate risk. This collaborative work style helps produce the results our clients seek. The U.S. Commodity Futures Trading Commission (CFTC) announced that on December 16, 2014, the U.S. District Court for the Northern District of Illinois entered a Consent Order for permanent injunction against AlphaMetrix, LLC (AlphaMetrix), a Chicago-based Commodity Pool Operator (CPO) and Commodity Trading Advisor (CTA), and its parent company AlphaMetrix Group, LLC (AlphaMetrix Group). The Order requires AlphaMetrix to pay restitution of $2.8 million and a civil monetary penalty of $2.8 million and requires AlphaMetrix Group to pay disgorgement of $2.8 million. The Order also prohibits AlphaMetrix from further violating anti-fraud provisions of the Commodity Exchange Act (CEA), as charged. The Order stems from CFTC charges that AlphaMetrix failed to pay at least $2.8 million in rebates owed to some of its commodity pool participants by investing the rebate funds in the pools and instead transferred the funds to its parent company, which had no entitlement to the funds. Nevertheless, AlphaMetrix sent these pool participants account statements that included the rebate funds as if they had been reinvested in the pools, even though they were not (see CFTC Press Release 6767-13, November 6, 2013). A civil action filed by the court-appointed receiver remains pending in the U.S. District Court for the Northern District of Illinois. In that action, the receiver seeks to recover funds from former officers of AlphaMetrix and AlphaMetrix Group. The CFTC cautions victims that restitution orders may not result in the recovery of money lost because the wrongdoers may not have sufficient funds or assets. On October 29, 2014, the Securities and Exchange Commission (“SEC”) announced an administrative enforcement action against an investment advisory firm and three top officials for violating rule 206(4)-2 under the Investment Advisers Act of 1940 (“Advisers Act”), the “custody rule,” that requires firms to follow certain procedures when they control or have (or are deemed to have) access to client money or securities. This enforcement action follows closely on the heels of statements by SEC officials indicating that violations of the custody rule were a recurring theme during the “presence exams” of private equity fund advisers and other first time investment adviser registrants that have been conducted by the SEC staff over the last year and a half. Advisory firms with custody of private fund assets can comply with the custody rule by distributing audited financial statements to fund investors within 120 days of the end of the fiscal year. This provides investors with regular independent verification of their assets as a safeguard against misuse or theft. The SEC’s Enforcement Division alleges that Sands Brothers Asset Management LLC has been repeatedly late in providing investors with audited financial statements of its private funds, and the firm’s co-founders along with its chief compliance officer and chief operating officer were responsible for the firm’s failures to comply with the custody rule. As investment adviser registrants are painfully aware, chief compliance officers have personal liability for compliance failures under Advisers Act rule 206(4)-7. This particular enforcement action was brought pursuant to section 203(f) of and rule 206(4)-2 under the Advisers Act. It remains to be seen whether the SEC will bring a separate action against the Sands Brothers’ chief compliance officer under rule 206(4)-7. Also nervously awaiting any further action by the SEC would be the accountants and lawyers that advised the Sands Brothers and their hedge funds with respect to the custody matter. The accounting firm or firms that conducted the audit of the Sands Brothers hedge funds likely knew that the funds did not meet the requirements of the custody rule. It is less certain whether the external lawyers knew or should have known about these violations. However, if either the accountants or lawyers knew of these violations and advised that they were only technical in nature and immaterial or unimportant, the SEC could take separate administrative action pursuant to SEC rule 102(e) to bar any such party from practicing before the SEC. We previously wrote about the more aggressive posture that the SEC signaled with respect to service providers, specifically lawyers that assist or “aid and abet” violations of the securities laws. The SEC has a fairly high standard to meet when bringing these types of cases, but that has not deterred the regulator from aggressively pursuing more accountants and lawyers in recent months. According to the SEC’s order instituting the administrative proceeding, Sands Brothers was at least 40 days late in distributing audited financial statements to investors in 10 private funds for fiscal year 2010. The next year, audited financial statements for those same funds were delivered anywhere from six months to eight months late. The same materials for fiscal year 2012 were distributed to investors approximately three months late. According to the SEC’s order, Sands Brothers and the two co-founders were previously sanctioned by the SEC in 2010 for custody rule violations. If you have been late on the delivery of your audited financial statements and have not availed yourself of the “surprise audit” provision of the custody rule, or if you manage “side car” funds that have never been audited, you should immediately get in touch with your Pillsbury attorney contact. On September 22, 2014, the Securities and Exchange Commission (the “SEC”) charged private equity fund adviser, Lincolnshire Management, Inc. (“Lincolnshire”), with misallocating expenses shared between two portfolio companies. Lincolnshire integrated two portfolio companies that were each owned by a different Lincolnshire private equity fund. Lincolnshire owed a fiduciary duty to each fund and such fiduciary duty was breached when Lincolnshire would charge one portfolio company more than its fair share for expenses benefiting both portfolio companies. Lincolnshire was aware of the complexity involved in sharing expenses and did have an expense allocation policy in place, though it was not in writing. The instances that resulted in a breach of Lincolnshire’s fiduciary duty were those in which the verbal expense allocation policy was not followed. The SEC also found, with respect to the integration of the portfolio companies, that Lincolnshire did not have sufficient written policies and procedures in place to prevent violations of the Investment Advisers Act of 1940 (“Adviser’s Act”). Lincolnshire agreed to a settlement with the SEC in excess of $2.3 million. On September 16, 2014, the Securities and Exchange Commission (“SEC”) announced the latest sanctions in a continuing enforcement initiative against certain hedge fund advisers and private equity firms that have participated in an offering of a stock after short selling it during a restricted period in contravention of SEC rules. The SEC last year announced the initiative to enhance enforcement of Rule 105 of Regulation M, which is designed to preserve the independent pricing mechanisms of the securities markets and prevent stock price manipulation. Rule 105 typically prohibits firms or individuals from short selling a stock within five business days of participating in an offering for that same stock. Such dual activity typically results in illicit profits for the firms or individuals while reducing the offering proceeds for a company by artificially depressing the market price shortly before the company prices the stock. The SEC’s investigations targeted 19 firms and one individual trader in the latest cases engaged in short selling of particular stocks shortly before they bought shares from an underwriter, broker, or dealer participating in a follow-on public offering. Each firm and the individual trader have agreed to settle the SEC’s charges and pay a combined total of more than $9 million in disgorgement, interest, and penalties. Pursuant to this enforcement initiative, the SEC’s Enforcement Division works closely with FINRA and the SEC’s National Exam Program to identify potential violations of Rule 105. Enforcement staff seeks trading data and certain other relevant information from traders and expedites these cases by using uniform methodologies for determining trading profits and deciding appropriate penalties. Advent Capital Management – The New York-based firm agreed to pay disgorgement of $75,292, prejudgment interest of $3,836.36, and a penalty of $65,000. Antipodean Advisors – The New York-based firm agreed to pay disgorgement of $27,970, prejudgment interest of $702.83, and a penalty of $65,000. BlackRock Institutional Trust Company – The California-based firm agreed to pay disgorgement of $1,122,400, prejudgment interest of $22,471.13, and a penalty of $530,479. East Side Holdings II – The New Jersey-based firm agreed to pay disgorgement of $26,613, prejudgment interest of $397.38, and a penalty of $130,000. Explorador Capital Management – The Brazil-based firm agreed to pay disgorgement of $83,722, prejudgment interest of $6,936.65, and a penalty of $65,000. Formula Growth – The Canada-based firm agreed to pay disgorgement of $42,488, prejudgment interest of $4,255.15, and a penalty of $65,000. Great Point Partners – The Connecticut-based firm agreed to pay disgorgement of $43,068, prejudgment interest of $1,529.13, and a penalty of $65,000. Indaba Capital Management – The California-based firm agreed to pay disgorgement of $194,797, prejudgment interest of $11,990.79, and a penalty of $97,398.59. Ironman Capital Management – The Texas-based firm agreed to pay disgorgement of $21,844, prejudgment interest of $382.66, and a penalty of $65,000. 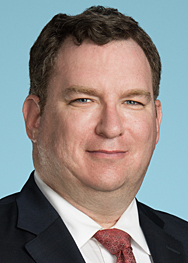 James C. Parsons – An individual trader who lives in New York City agreed to pay disgorgement of $135,531, prejudgment interest of $3,063.90, and a penalty of $67,765.72. Midwood Capital Management – The Massachusetts-based firm agreed to pay disgorgement of $72,699, prejudgment interest of $5,248.19, and a penalty of $65,000. Nob Hill Capital Management – The California-based firm made sworn statements to the Commission attesting to a financial condition that makes it unable to pay any penalty. RA Capital Management – The Massachusetts-based firm agreed to pay disgorgement of $2,646,395.21, prejudgment interest of $73,394.16, and a penalty of $904,570.84. Rockwood Investment Management (also known as Rockwood Partners LP) – The Connecticut-based firm agreed to pay disgorgement of $156,631, prejudgment interest of $9,222.16, and a penalty of $72,135.23. Seawolf Capital – The New York-based firm agreed to pay disgorgement of $192,730, prejudgment interest of $7,842.28, and a penalty of $96,365. Solus Alternative Asset Management – The New York-based firm agreed to pay disgorgement of $39,600, prejudgment interest of $895.22, and a penalty of $65,000. SuttonBrook Capital Management – The New York-based firm agreed to pay disgorgement of $70,000. Troubh Partners – The New York-based firm agreed to pay disgorgement of $262,744, prejudgment interest of $39,315.13, and a penalty of $106,651.15. Vinci Partners Investimentos – The Brazil-based firm agreed to pay disgorgement of $283,480, prejudgment interest of $23,487.08, and a penalty of $141,740. Pillsbury’s Investment Funds Team regularly advises clients on how not to show up on lists such as these. The relentless attention being paid to cyber-attacks is driving companies to increase cyber security budgets and purchases. In turn, this has led institutional investors and asset managers to see potentially massive returns associated with companies in the cyber security market. Indeed a number of companies that have gone public have had phenomenal success, and the constantly morphing nature of cyber-attacks means that purchasing trends are not likely to slow down any time soon. However, it is critical to keep in mind that just as cyber security capabilities can be a very attractive component in evaluating a potential investment; it also could lead to potentially negative consequences. Ignorance of some key legal and policy considerations could lead to an improper assessment of the value/future earnings potential of technology investments. These considerations are true regardless of whether or not the technology or service has a core “security” component. It is a simple fact that every company faces cyber threats. Multiple studies have demonstrated that essentially every company has been or is currently subject to cyber-attack and that most if not all have already been successfully penetrated at least once. This leads to a key consideration: every company’s cyber security posture should be considered when making investment decisions. For example, a company selling information technology that is less prone to cyber-attacks should be viewed as a better investment than competitors who pay little to no attention to how their products can be breached. The cost of conducting cyber-attacks is depressingly cheap: $2/hour to overload and shutdown websites, $30 to test whether malware will penetrate standard anti-virus systems, and $5,000 for an attack using newly designed methods to exploit previously undiscovered flaws. Indeed it is now so cheap to create malware that the majority of malicious programs are only used once – thereby defeating many existing cyber security systems which are designed to recognize existing threats. This all adds up to a cost/benefit analysis that is irresistible for cyber-attackers, and essentially guarantees that the pace and sophistication of attacks will not let up any time soon. Whether a company is offering a service or a technology, a critical factor to consider is its approach to security. Companies that consider security a key functionality that needs to be integrated from the start of the design process are far more likely to go to market with an offering that has higher degree of security. Security as an afterthought is just that – an afterthought. Weaving security into the DNA of a service or technology will be extremely helpful in decreasing security risks. Just remember though that no security program or process is flawless, and no one should expect perfection. Is there a nation-state problem? An R&D or manufacturing connection to countries known for conducting large-scale cyber espionage causes heartburn for companies and governments alike. Too many instances have occurred where buying items from companies owned by or operated in problem nation states have resulted in cyber-attacks. In some cases, Federal agencies are prohibited from buying IT systems from companies with connections to specific governments. Investors and managers need to stay abreast of problem countries, and also examine whether the product or service has a connection to such countries. Failure to do so can lead to investments in companies that have limited market potential. There’s nothing like buying a trade secret only to find out it really isn’t a secret. Before investing in any company, conduct due diligence to determine how good the security of the company is and whether IP or trade secret information has been compromised. The Federal government is stepping up its requirements regarding cyber security in procurements. That means that all federal contractors (not just defense contractors) are going to have to increase their internal cyber security programs if they want to win government contracts. Failure to have a good cyber security program could lead to lost contracts, and thus decreased growth. Companies have been too lax in negotiating terms that explicitly set forth security expectations for IT products as well as who will be liable should there be a breach/attack. Judicious reviews of terms and conditions can help avoid liability following a cyber-attack. For example, companies should not accept boilerplate language regarding the following of “industry standards” or “best practices” with respect to cyber security. Instead, specific obligations and benchmarks need to be agreed upon before signing any agreement. Further agreements should be drafted to that make clear that security measures are the obligation of the other party. That way the investor has set up a stronger argument for recovering losses as well as shifting liability away from itself. Companies may be tempted to think that if a company has a cyber-insurance policy, they are protected in the event of a cyber-attack. The reality is that there is an enormous chasm between buying coverage and having claims paid. Cyber policies are increasingly being written and interpreted to cover fewer types of attacks, and so do not be tempted to think that cyber insurance can fully protect an investment. Under the Support Anti-Terrorism by Fostering Effective Technologies Act (SAFETY Act), cyber security services, policies, and technology providers are all eligible to receive either a damages cap or immunity from liability claims. The SAFETY Act also protects cyber security buyers, as they cannot be sued for using SAFETY Act approved items. Possessing SAFETY Act protections should be considered a positive sign and indicative of potential earnings growth. There is no doubt about it; cyber risks are here to stay. Addressing those risks should be a core component of any business or investment strategy, because even if “today’s problem” is solved the introduction of new technologies will just mean a new threat vector for adversaries to exploit. It is not all doom and gloom, however. Paying attention to cyber security trends and doing some simple due diligence will go far in minimizing digital risks. Make no mistake: defenses will always be incomplete and successful attacks will happen. However, with the right processes and approach, the bad outcomes can be minimized and investments will be protected. At the Intersection of Faith and Illiteracy. In what may have been one of the more interesting weeks this year for SEC enforcement actions, the Enforcement Division brought a number of actions last week, several of which will make you wonder if the warnings that we issued when the JOBS Act was passed are not coming to pass. Although none of these actions are based on 506(c) reliance, they do suggest that as capital finally starts to seek new opportunities outside the mainstream, it is necessary for investors to evaluate investment opportunities very carefully in order to avoid the scam artists who, like Jesse James, go where the money is. On July 31, 2014, the SEC filed fraud charges and sought emergency relief against Thomas J. Lawler of Snellville, Georgia, a self-proclaimed minister, and his company, Freedom Foundation USA LLC for fraudulently offering and selling fictitious securities. With all due respect to Siskel and Ebert, this case is not to be missed. I laughed, I cried, if you only read one enforcement action this year, it has to be this one. The SEC’s complaint filed in U.S. District Court for the Northern District of Georgia alleged that, since as early as 2004, the defendants Lawler and Freedom Foundation offered investors the opportunity to eliminate their debts and collect lucrative profits through the purchase of so called “administrative remedies” (“ARs”). Defendants told potential investors that every individual had funds established for them in an account at birth — where, by whom, and in what amount the supposed account is established are details Lawler does not provide. Defendants further told potential investors that the investors therefore did not owe their creditors for mortgage and other debts, and that Freedom Foundation would use its unique and proprietary process to create the ARs, which would eliminate the investors’ debt and provide a lucrative financial return. Does the Wesley Snipes tax case come to mind? The SEC alleged that defendants told potential investors that a $1,000 AR would cancel the investor’s debt and return $325,000 to the investor, while a $10,000 investment would supposedly entitle the investor to receive $1 million when the AR funded. Freedom Foundation claimed it would fund the ARs through a mysterious process involving a Papal decree. What could possibly go wrong there? The SEC claims that Lawler sold approximately 2,000 ARs over ten years to investors throughout the country and that he was actively soliciting additional investors. This is not exactly one per minute, but it is impressive. And, as shocking as this may sound, the SEC found that not one investor in this scheme received any of the promised returns. Freedom Club targeted our most ignorant and vulnerable citizens through an internet presentation that was designed to prey on the uninformed and easily swayed. Let’s hope that the SEC is not successful in shutting down the Freedom Club website before you have the opportunity to check it out: http://www.freedomclubusa.com/. Admit it, this case does raise the question of whether anyone who would fall for this scam should be allowed to handle money at all…ever. Chief Compliance Officer/General Counsel Takes the Fall. You may recall that we recently wrote about attorneys who seem to escape scrutiny by the SEC when they participate in illegal activities. There is an administrative remedy against attorneys who facilitate or promote wrongdoing, but the SEC has been slow to target ethically challenged attorneys. Well, wait no longer. Last month, a judgment was entered by consent against the general counsel and chief compliance officer of an investment adviser who was found to have aided and abetted fiduciary violations of the firm’s principal in the misappropriation of hedge fund client assets in contravention of the offering documents of the fund. What is the take away here? If you are a Chief Compliance Officer, I believe you know the answer to that one. See, Securities and Exchange Commission v. Weston Capital Asset Management, LLC, et al., Civil Action Number 14-CV-80823-COHN, in the United States District Court for the Southern District of Florida. Robert G. Bard was sentenced on July 31 by a U.S. District Court in Pennsylvania. Bard had been found guilty by a jury and convicted of 21 counts of securities fraud, mail fraud, wire fraud, bank fraud, and making false statements for defrauding his investment advisory clients between December 2004 and August 2009. The court sentenced Bard to 262 months imprisonment and ordered him to pay $4.2 million in restitution to 66 victims. If you do the math, this comes out to right around $200,000 per year sentence. The criminal case arose out of the same facts that were the subject of a civil injunctive action filed by the SEC in 2009. The Commission’s complaint alleged that defendant Bard, an investment adviser, and his solely-owned company Vision Specialist Group LLC had violated the federal securities laws through fraudulent misrepresentations regarding client investments, account performance and advisory fees, and by Bard’s creation of false client account statements, forgery of client documents. In a follow-on administrative proceeding to the SEC’s civil court action, an administrative law judge barred Bard from the securities industry in an initial decision. Elder Abuse also Brings Criminal Action. The SEC also brought charges against a broker based in Roanoke, Va., for allegedly defrauding elderly customers, including some who are legally blind, by stealing their funds for her personal use and falsifying their account statements to cover up her fraud. According to the SEC’s complaint, Donna Jessee Tucker siphoned $730,289 from elderly customers and used the money to pay for such personal expenses as vacations, vehicles, clothes, and a country club membership. Tucker ensured that the customers received their monthly account statements electronically, knowing that they were unable or unwilling to access their statements in that format. The SEC further alleges that Tucker engaged in unauthorized trading and other financial transactions while making misrepresentations to customers about their investment accounts and forging brokerage, banking, and other documents. In a parallel action, the U.S. Attorney’s Office for the Western District of Virginia announced criminal charges against Tucker. The above cited actions represent just some of the more interesting enforcement actions brought by the SEC and the Department of Justice in recent days. The full list is more extensive. The Securities and Exchange Commission (the “SEC”) charged Kevin McGrath, a partner at a New York investor relations firm with insider trading. According to the SEC complaint, McGrath allegedly received confidential information from clients in order to prepare press releases. The SEC discovered McGrath used non-public information from two different clients to buy or sell such clients’ securities for his personal benefit. While high dollar insider trading cases are common news, this case involves profits of a mere $11,776. The financial penalties were similarly small and McGrath settled the case with a disgorgement of $11,776, interest of $1,492 and a penalty of $11,776, in addition to a prohibition on trading in any client security. Those with access to insider information should see this case as a reminder that no instance of insider trading will be ignored by the SEC. Private equity firms were put on notice last year that they may be subject to registration as broker dealers when David Blass, head of the Division of Markets and Trading at the Securities and Exchange Commission (“SEC”), provided his insights at an industry conference. Since that time, the SEC has published their examination priorities list, which included the presence exams of new registrants, a portion of which would review that status of private equity fund managers under the broker dealer rules. Following up on this warning to the industry, the SEC has also targeted unregistered brokers for enforcement action. Recently, at a speech in front of another industry group, Mr. Blass provided further guidance on how a private equity firm might structure its compensation arrangements in order to avoid the need to register as a broker dealer. Consistent with the advice that Pillsbury has been providing private fund clients for many years, Mr. Blass warned against paying “transaction based” compensation and further suggested that if a private fund employee has “an overall mix of functions,” and sales is one aspect of those duties, it is less likely that the SEC staff would view such an arrangement as one that would require broker dealer registration. An employee of a private fund manager would not be prohibited from being compensated on the overall success of the firm, and certainly sales of fund securities contribute to that overall success. But tying compensation to assets raised looks like the traditional broker dealer compensation and should be avoided. Mr. Blass indicated that the SEC is close to finalizing guidance on issues connected to private fund manager employee compensation. However, the SEC staff has further to go before providing guidelines to the industry on the broker dealer registration issues posed by deal fees that private equity firms sometimes collect on transactions. It is unlikely that Mr. Blass will see his initiatives through to completion, as he will soon be joining the staff of the Investment Company Institute where he will one day lobby against his former positions. If you would like additional background on how the private fund managers came to find themselves in the gray zone of broker dealer registration as a result of paying their employees for performance, you may want to re-visit this article. In a move that should place securities lawyers and their clients on notice, Commissioner Kara Stein of the Securities and Exchange Commission (“SEC”) recently indicated that lawyers may become targets of SEC enforcement actions when a registrant has been poorly advised by its attorney and the result of that advice ends up harming investors or violating regulatory standards. The SEC has the ability to sanction, fine and bar attorneys and accountants from practicing before the SEC pursuant to SEC Rules of Practice 102(e). As a practical matter, a bar pursuant to Rule102(e) precludes an attorney or an accountant from representing a regulated entity, such as an investment adviser or broker dealer, in any further dealings with the SEC or otherwise. Several years ago, before he retired, I asked Gene Gohlke, then the acting head of the SEC’s Office of Compliance, Inspections and Examinations, why it was that the SEC brought Rule 102(e) proceedings against accountants, but rarely against attorneys. “Lawyers are different,” was the answer I received. And that has been the approach of the SEC for quite some time, only bringing proceedings to bar attorneys in the most obvious and egregious cases. My question to Mr. Gohlke was prompted by what I saw as questionable legal advice from certain “boutique” law firms that were providing not just aggressive advice, but simply incorrect advice. You may recall that before the relatively recent Mayer Brown no-action letter, hedge fund managers were being advised that they could hire third party marketers that were not registered as broker dealers through “solicitation agreements” pursuant to Rule 206(4)-3 under the Investment Advisers Act of 1940. This position, which was advocated by every former real estate or anti-trust lawyer turned hedge fund lawyer, was flatly wrong, but generally embraced by fund managers. When the SEC finally caught on that some fund managers were hiring unregistered broker dealers, Bob Plaze, then associate director of the Division of Investment Management of the SEC, somewhat famously quipped that if fund managers had been interpreting the Dana letter to allow such activity, they had been interpreting it wrong. Additionally, in his recent speech, David Blass put fund managers on notice that they have been misinterpreting the scope of the “issuer’s exemption,” Rule 3a4-1 under the Securities Exchange Act of 1934. Fund managers are now on notice that they need to either hire third party brokers, or pay their internal employees based on something other than the amount of capital raised on behalf of the fund. This also grew out of a misunderstanding of that rule by the aggressive and misinformed section of the securities bar. There are many other examples, such as relying on the “issuer’s exemption” when the fund is organized as a unit trust, rather than a partnership or exempted company (don’t do it), misinterpretation of what constitutes permissible use of soft dollars within the safe harbor Section 28(e), operation of the custody rule, execution of short sales, and many more. When the SEC finds deficiencies in a fund management organization, it is typically the fund manager that suffers the consequences, not the attorney that advised the fund management company. But with the SEC now identifying attorneys as key “gatekeepers,” all of that could change. Commissioner Stein is “troubled greatly” by enforcement cases where the lawyers that gave advice on the transaction and prepared and reviewed disclosures that were relied upon by investors are not held accountable. The Commissioner identified that when lawyers do provide bad advice, or effectively serve to assist fraud, their involvement is used as a shield against liability, both for themselves and for others. The problem has been surfaced by the SEC, now we will see how and against whom enforcement action is taken in order to make an example for the industry. What does this mean for fund managers? First, fund managers need to recognize that “forum shopping” is dangerous. You can always find a lawyer somewhere that is complacent, desperate, or unethical enough to tell the fund manager whatever they want to hear. This is a short term folly and can only lead to a bad result in the longer term. Second, the market has changed substantially since the heady days of 2002-2007. It is no longer just the overworked and understaffed regulators with which fund managers need to concern themselves. Investor sophistication in the due diligence area has increased substantially and now endowments, family offices and ultra-high net worth investors want to understand that the fund manager has made good decisions with respect to their service providers and has not opted for a low-end option that the fund manager can dominate and control. Particularly for start-up fund managers that have essentially one shot at executing on a successful offering, the choice of an administrator that has no FATCA solution, or a lawyer that is unknown or not respected, can kill the offering before it ever gets started. As attorneys, we recognize that competition in the asset management business is fierce and raising assets has rarely been more difficult; however, this is a business that is built on trust and confidence. Fund managers need to demonstrate with every decision they make; they are motivated by the best interests of their investing clients.